This is the website of WhiteSapphire.com, operated by Until Then Business Management Services, Inc. ("we", "us", “our” or "Until Then Business Management Services, Inc."). By using and accessing our website, you ("you", "user" or, "end user") agree to these Terms of Service (collectively, the "Terms of Service" or "Agreement"). IF YOU DO NOT AGREE TO THE TERMS OF THIS AGREEMENT, IMMEDIATELY STOP ACCESSING WhiteSapphire.com. By accessing this website, you are agreeing to be bound by these website Terms and Conditions of Use, all applicable laws and regulations, and agree that you are responsible for compliance with any applicable local laws. If you do not agree with any of these terms, you are prohibited from using or accessing WhiteSapphire.com. You agree to use WhiteSapphire.com only for lawful purposes, and in a way that does not infringe the rights of, restrict or inhibit anyone else's use and enjoyment of the website. Prohibited behavior includes harassing or causing distress or inconvenience to any other user, transmitting obscene or offensive content or disrupting the normal flow of dialogue within our website. You must not use WhiteSapphire.com to send unsolicited commercial communications. You must not use the content on our website for any marketing related purpose without our express written consent. You may use the WhiteSapphire.com website for purposes expressly permitted. You may not use this site for any other purpose, including any commercial purpose, without WhiteSapphire.com’s express prior written consent. For example, you may not (and may not authorize any other party to): (i) co-brand this site, or (ii) frame this site. WhiteSapphire.com makes no representations, warranties, or assurances as to the accuracy, currency or completeness of the content contain on this website or any sites linked to this website. All of the information on the WhiteSapphire.com website, whether historical in nature or forward-looking, speaks only as of the date the information is posted on this website, and WhiteSapphire.com does not undertake any obligation to update such information after it is posted or to remove such information from this website if it is not, or is no longer, accurate or complete. The website and all content and other information contained on the website, as well as products and services provided, is provided on an "AS IS" and "AS AVAILABLE" basis without warranty of any kind, whether express or implied, including, but not limited to, the implied merchantability and fitness for a particular purpose. Until Then Business Management Services, Inc. and WhiteSapphire.com make no warranty that the website and content or information will be uninterrupted, timely, secure or error-free. Until Then Business Management Services, Inc. and WhiteSapphire.com make no warranty that the results that may be obtained from use of this website will be effective, accurate or reliable, nor guarantee or make any representation regarding the use, or the results of the use, of the websites, products or services, or written materials in the terms of correctness, accuracy, reliability, current nature, or otherwise. The website may include technical mistakes, inaccuracies or typographical errors. You expressly agree that use of WhiteSapphire.com and associated products and services is at your sole risk and discretion. In no event shall Until Then Business Management Services, Inc., WhiteSapphire.com, or its agents, officers, parent companies, suppliers or affiliates be liable for any damages whatsoever (including, without limitation damages for loss of profits, business interruption, loss of information, pecuniary loss, injury or death), nor liable for any indirect, incidental, special or punitive damages or consequential damages of any kind, or any damages whatsoever arising out of or related to or arising out of your correct or incorrect use of the website (or inability of use), or its material content and other information obtained therein, or related products and services— even if WhiteSapphire.com has been advised of the possibility of such loss or damages. In no event will the collective liability of WhiteSapphire.com and its parent companies, subsidiaries, affiliates, licensors, service providers, content providers, employees, agents, officers, and directors, to any party (regardless of the form of action, whether in contract, tort, or otherwise) EXCEED THE GREATER OF $100 OR THE AMOUNT YOU HAVE PAID TO COMPANY FOR THE APPLICABLE CONTENT, PRODUCT OR SERVICE OUT OF WHICH LIABILITY AROSE. Our company's entire liability, and the purchaser's exclusive remedy, shall be a refund of the price paid or replacement of our products, at the option of WhiteSapphire.com. We typically limit refund or replacement to 60 days on stocked non-custom items, and offer a lifetime warranty on custom-designed jewelry we manufacture to the customer's request. Please see the WhiteSapphire.com 100% Satisfaction Guarantee for full details. You acknowledge that this website and information contains copyrighted material, trademarks, and other proprietary information and that the material Content contained in this website WhiteSapphire.com are protected by applicable copyright and trademark law. You acknowledge and agree that all content and information on the website is protected by proprietary rights and laws. Unless otherwise specified and a 3rd party content provider identified, all material Content appearing on this website, including the text, website design, logos, graphics, icons, and images, as well as the selection, assembly and arrangement thereof, are the sole property of this WhiteSapphire.com and Until Then Business Management Services, Copyright © 2012, ALL RIGHTS RESERVED. All copyrights, trademarks, patents and other intellectual property rights in and on our website and all content and software located on the website shall remain the sole property of WhiteSapphire.com or its licensors. The use of our trademarks, content and intellectual property is forbidden without the express written consent from WhiteSapphire.com. Republish or license material from our website without prior written consent. Reproduce, duplicate, create derivative, copy, modify or otherwise exploit material on our website for any purpose. Redistribute, display, transmit, upload, post, or transfer any content from our website, including onto another website. You understand that WhiteSapphire.com cannot and does not guarantee or warrant that files available for downloading from the Internet will be free of viruses, worms, Trojan horses or other code that may manifest contaminating or destructive properties. You are responsible for implementing sufficient procedures and checkpoints to satisfy your particular requirements for accuracy of data input and output, and for maintaining a means external to this website for the reconstruction of any lost data. WhiteSapphire.com does not assume any responsibility or risk for your use of the Internet or downloadable content. WhiteSapphire.com respects the intellectual property of others. The WhiteSapphire.com website may contain links to many other external websites of interest to our visitors, that are owned and operated by third parties and not maintained or controlled by our company. External links are provided as a service to users and are not sponsored by or affiliated with WhiteSapphire.com or our Company. WhiteSapphire.com and Until Then Business Management Services has not reviewed any or all of such externally linked to websites and is not responsible for the content of those websites, nor cannot guarantee the accuracy of information found at any linked website, and nor can we be responsible for the protection and privacy of any information which you provide while visiting such websites. Such external web sites are not governed by this privacy statement. Links to or from external websites not owned or controlled by WhiteSapphire.com website does not in every case constitute an endorsement of these websites— or the products or information presented there— by WhiteSapphire.com, its parent company, or any of its employees of the sponsors. You acknowledge that we're not responsible for the operation of or content located on or through any such website. Our WhiteSapphire.com website and marketing emails may contain affiliate links. That means if you buy something from them we may get paid an affiliate commission. Our recommendation is ALWAYS based on our belief that the product or service is valuable based on our personal observations and/or previous positive experience and relationship with the person or company recommended. You should always perform due diligence before buying products or services from anyone online or offline, and should never purchase anything you cannot afford. 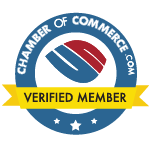 However, our website and communication emails also contain links that don't require an investment on your part-- jam-packed with free interesting and informative content, tips, news, or opportunities to do business with our own companies. During registration a user is required to give their contact information (such as name and email address). This information is used to contact the user about the services on our website for which they have expressed interest. Passwords are collected to verify the user’s identity. It is optional for the user to provide demographic information, but the user is encouraged to do so, so we can provide a more personalized experienced on our website. You hereby grant to our Company the royalty-free, perpetual, irrevocable, worldwide, non-exclusive right and license to use, reproduce, modify, adapt, publish, translate, create derivative works from, distribute, perform, and display all content, remarks, comments, suggestions, ideas, graphics, or other information communicated to our Company through the WhiteSapphire.com website (together, hereinafter known as the "Submission") through any blog, forum, member directory, or other medium allowing for user-generated and submitted content material, and to incorporate any Submission in other works in any form, media, or technology now known or later developed. WhiteSapphire.com will not be required to treat any Submission as confidential, and may use any Submission in its business (including without limitation, for products, testimonials or advertising) without incurring any liability for royalties or any other consideration of any kind, and will not incur any liability as a result of any similarities that may appear in future WhiteSapphire.com operations. Testimonials appearing on this website are actually received via text, audio or video submission. They are individual experiences, reflecting real life experiences of those who have used our products and/or services in some way or another. However, they are individual results and results do vary. We do not claim that they are typical results that consumers will generally achieve. The testimonials are not necessarily representative of all of those who will use our products and/or services. WhiteSapphire.com does not share the opinions, views or commentary of any testimonials on this website, and are strictly the views of the reviewer. WhiteSapphire.com is not responsible for any of the opinions or comments posted to our site. WhiteSapphire.com is not a forum for testimonials; however, the website provides testimonials as a means for customers to share their experiences with one another. To prevent against abuse, all testimonials appear after they have been reviewed by management of WhiteSapphire.com. Some of the purchasers of WhiteSapphire.com’s products and services who have provided their endorsement or testimonial for use on this website may have received a refund in the amount of the cost of the product or service purchased in exchange for their endorsement or testimonial, or other valuable non-monetary consideration. We're confident that our fine white sapphire jewelry will meet, if not exceed, your expectations. No purchase is complete until you're completely satisfied. You can return most items to us within sixty (60) days of the product delivery date for a refund of the full purchase price, minus shipping and handling fees (with the exception of custom-designed jewelry, which has a satisfaction guarantee and lifetime warranty rather than a refund policy). See WhiteSapphire.com 100% Satisfaction Guarantee for full details. Our shipping charges are based on standard UPS or USPS prices including package weight, size, and distance shipped. WhiteSapphire.com cannot guarantee when an order will arrive. Consider any shipping or transit time offered to you by WhiteSapphire.com, or other parties only as an estimate. We encourage you to order in a timely fashion to avoid delays caused by shipping or product availability. Please see our Shipping Details page for more information. In the event a product is listed at an incorrect price or description due to typographical error or errors in information received from our suppliers, WhiteSapphire.com shall have the right to refuse or cancel any orders placed for the products listed at the incorrect price. WhiteSapphire.com shall have the right to refuse or cancel any such orders whether or not the order has been confirmed and your credit card charged. If your credit card has already been charged for the purchase and your order is canceled, WhiteSapphire.com shall immediately issue a credit to your credit card account in the amount of purchased price. Alternatively, payment may be made through third party companies such as PayPal or Google Checkout. Please review their policies before proceeding to checkout with these companies. WhiteSapphire.com is not responsible for the actions of third parties as regards to credit cards and other online methods of alternative payment. If you order services or products directly from WhiteSapphire.com we will use the personal information you provide only to process that order. We do not share this information with outside parties except to the extent necessary to complete that order. WhiteSapphire.com may automatically charge and withhold the applicable sales tax for orders to be delivered to addresses within the same state. Your receipt of an electronic or other form of order confirmation does not signify our acceptance of your order, nor does it constitute confirmation of our offer to sell. WhiteSapphire.com reserves the right at any time after receipt of your order to accept or decline your order for any reason or to supply less than the quantity you ordered of any item. These Conditions will supersede any terms and/or conditions you include with any purchase order, regardless of whether WhiteSapphire.com signs them or not. We reserve the right to make changes to this website and these Conditions at any time. The WhiteSapphire.com website is not designed to, and does not, provide medical advice. All content ("content"), including text, graphics, images and information available on or through this web site are for general informational purposes only. The content is not intended to be a substitute for professional medical advice, diagnosis or treatment. Never disregard professional medical advice, or delay in seeking it, because of something you have read on this website. Never rely on information on this website in place of seeking professional medical advice. Our company is not responsible or liable for any advice, course of treatment, diagnosis or any other information, services or products that you obtain through this website. You are encouraged to confer with your doctor with regard to information contained on or through this website. After reading articles or other content from this website, you are encouraged to review the information carefully with your professional healthcare provider. No where on this website is it intended to make claims that these products can be used to diagnose, treat, cure, mitigate or prevent any disease. These claims have not been clinically proven or evaluated by the FDA. WhiteSapphire.com shall have the right to immediately terminate or suspend, in its discretion, your access to all or part of the website with or without notice for any reason. Additional information may be found within the Frequently Asked Questions (FAQ) section of WhiteSapphire.com.